We love really getting to know our members here at CBP! 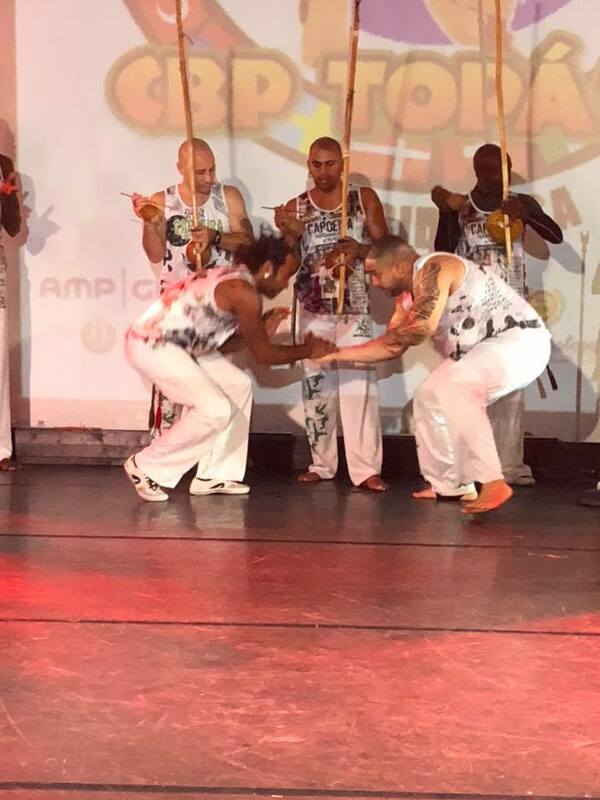 Everyone has a unique story on how or why they made the decision to give Capoeira classes at CBP a try! Below you will hear from Jay, who has been a student here since July 2018. 3 months ago I embarked on a new journey in my life. Since I was 6 years old I’ve enjoyed watching martial arts, specifically when I saw a movie called Only The Strong. This was a movie based on Capoeira, a Brazilian martial art, and what amazing things the art can do to people’s lives. Since then, I always wanted to learn it but it was either too far or too expensive when I lived in New York. Still being very interested in martial arts, I did Karate when I was very young and then ended up in Muay Thai in my early 20s. I studied Muay Thai for 6 years and loved every minute of it to the point where 5 very close friends and I took a trip to Thailand a few years ago to witness the art LIVE and train out there! We even got traditional Sank Yant tattoos while we were there and that was in experience within itself. I then ended up moving to Florida a few months ago for work. At first, I felt very lonely seeing that I moved here alone and all my immediate family stayed back in New York. For anyone that ever moves away from where they were raised, the first month alone is the HARDEST! One day after work I was flipping through channels trying to find something interesting to watch and there it was…ONLY THE STRONG was on T.V. I sat there like a little kid watching cartoons. When it was over I thought to myself, “let me see if Capoeira is out here”. I look mee up a few schools and found one VERY close to my apartment! I sent an email about my interest and got an immediate response and taking a trial class by Gine the office manager. I was a little nervous to go because it was new and I hadn’t done martial arts for a bit so I was rather out of shape but I went for it. Everyone was very welcoming and happy to see a new person join. I was greeted by each student and they all told me their Capoeira nicknames instead of their real names. Apparently, it was part of the culture of Capoeira. When we started the class I felt like I was going to pass out. I could BARELY keep up with the basics, let alone do all those difficult movements. After the class, I went home and couldn’t move properly from the immediate soreness I felt and it was even worse the next day but that didn’t stop me. I kept going every day, 5 days a week. I was in pain, sore, tired, frustrated because I couldn’t do the movements and impatient. I kept training, kept trying and the best part was that everyone was very supportive each and every day. I made a new best friend, found a new family, learned an amazing art and Capoeira has changed my entire perspective on life. This past Sunday I had my Capoeira test for this year’s graduation. At first, I was extremely nervous when I was told that I had to test this year know that I had just started. But it motivated me to work twice as hard. I practiced at home, in my office while at work and stayed late after class to do drills. I PASSED MY TEST! I have new found confidence in me that I just can’t explain. I learn the required movements, the names of the movements in Portugués, history and even learned to play a few of the instruments involved in Capoeira. In two days, I have my Capoeira graduation, also known as a Batizado. Now when I first started I was significantly larger in body mass. I dieted, went through pain and worked very hard for this coming Saturday. I had ordered my uniform for this in a specific size and I promised myself that I would work as hard as I had to so I could fit in it and as of this morning, IT FITS! On Saturday I will need to demonstrate to my academy and various other Capoeira academies from around the world and the most respected Mestre’s, Capoeira masters, from Brazil and other places that I deserve to be part of this culture and earn my first cord so I can be known as a status Capoeirista in this world. I cannot express how excited I am! I will continue on this path for the rest of my life! I’m getting to live the Dream I’ve had since I was 6 years old and I wouldn’t have it any other way! Shout to my academy! Capoeira Brazilian Pelourhino! CBP!